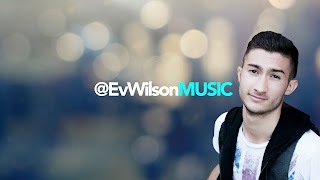 Based out of NorthWest Indiana, Musician/Producer/Videographer Evan Wilson is a fresh new Youtuber with a passion for making music and video. 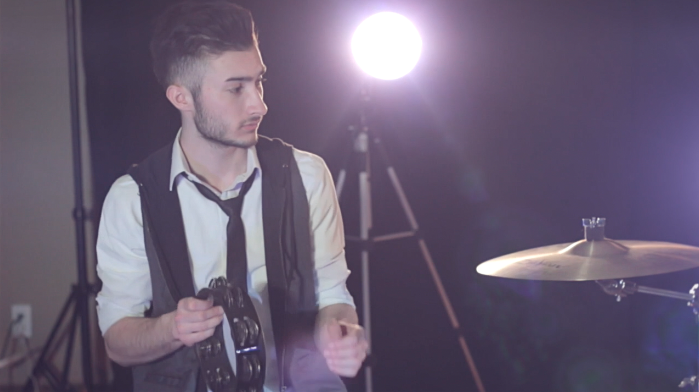 At the age of 18, this multi instrumentalist is already beginning to find his place in Youtube's artistic community and build up an impressive catalog of online content that will leave viewers wanting more. From performing to producing to directing, this all around artist based out of the greater Chicagoland area has been honing his skills and is on the fast track to making a name for himself. 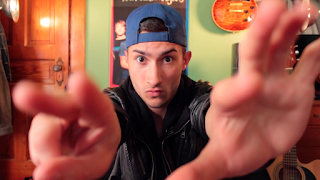 Specializing in music performance and audio/video production, this well-rounded Youtuber's ultimate goal is to establish himself as an artist while collaborating with other artists and helping them achieve their creative goals. Tell us about EvWilsonMusic. What does the name mean and why EvWilson? Evan: It might have something to do with the fact that my name is Evan Wilson. But I will neither confirm nor deny. You seem to have a sound that’s close to Maroon 5, Killers, Paramore, One Republic. By chance are these artists your influences? Evan: Those artists definitely influence me in the sense that I listen to them a lot. They make the kind of music I love, so that will naturally influence my own sound. I also definitely look to other successful Youtubers for my inspiration. People like Alex Goot, Tyler Ward, Kurt Schneider, Boyce Avenue, and others who are where I would someday love to be. They're the pioneers of the whole Youtube model, so I definitely look to them as my influences. Do you write and produce your own music? If so, what instruments do you play? Evan: I haven't really explored much original music yet. I would love to work more on that in the future, but currently, I'm really working on collaborating with other talented artists on some covers. I've had the awesome opportunity to work with artists like Fathom Blue, Lexi Elisha, and Taylor Trent. 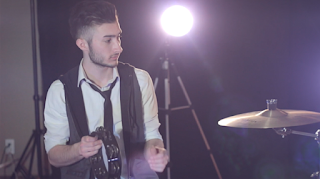 I play piano, bass, guitar, percussion, and any other random thing I can make music with! Besides Music, what is your favorite pass time? Evan: I love to make videos. If I'm not playing music, you'll probably find me working on a video for another artist. I've done work for Michael Signorelli of Fathom Blue, and Lexi Elisha, which can be found on their Youtube channels. What is your favorite sport and if you could play for a professional team, who would it be? Evan: I've played baseball since I was 9 years old. I love the sport, and I once had dreams of playing for the Chicago White Sox, but then I decided to hang that idea up and pursue other things. Name something on your bucket list that you’d like to accomplish in your lifetime? If you were to do a cover song, which artist and which song would you pick? Evan: If I want to cover a song, you'll probably end up seeing it on my Youtube channel! So subscribe and keep an eye out! I've got some stuff in the works that I think people will really love. What is in store for Evan Wilson in the near future? What can fans expect within the next year?